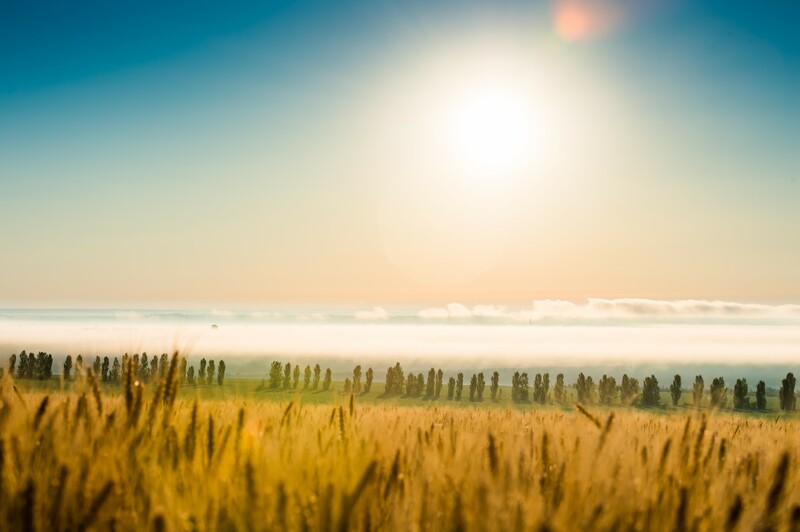 Moldova is a landlocked country in Eastern Europe; three-fourths of its land is used for food production. 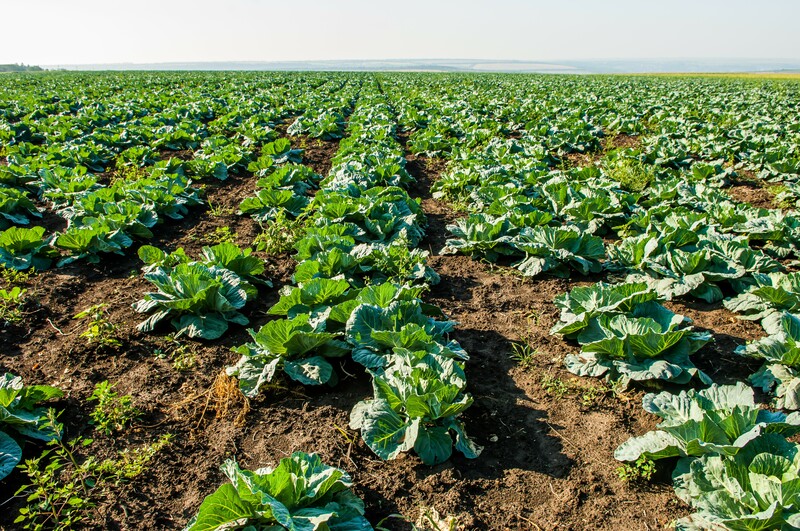 With extended droughts, temperature increases, decreased water reserves, and soil erosion, households reliant on farming have been the first to feel the impacts of climate change. 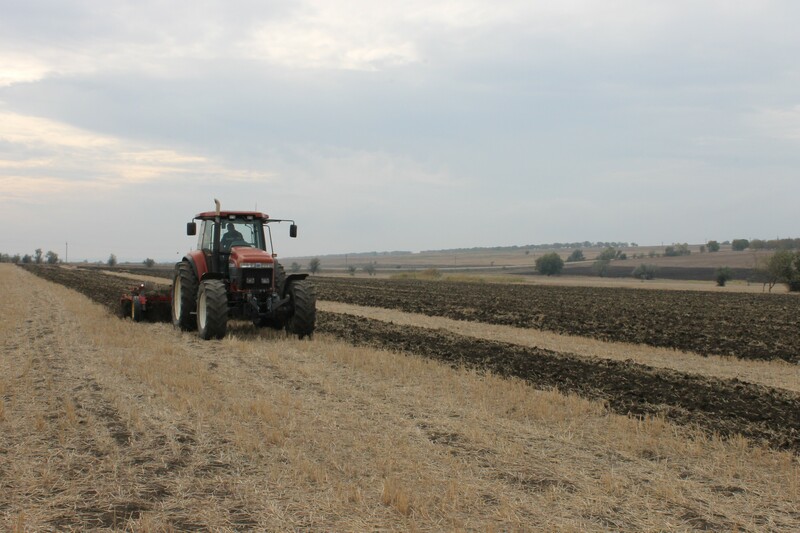 The project "Supporting Moldova's National Climate Change Adaptation Planning Process", is responding to the needs of farmers, and is working to ensure that Moldova has a system in place for medium- to long-term adaptation planning and budgeting, with the aim to reduce the vulnerability in key sectors (particularly agriculture), to the impacts of climate change. 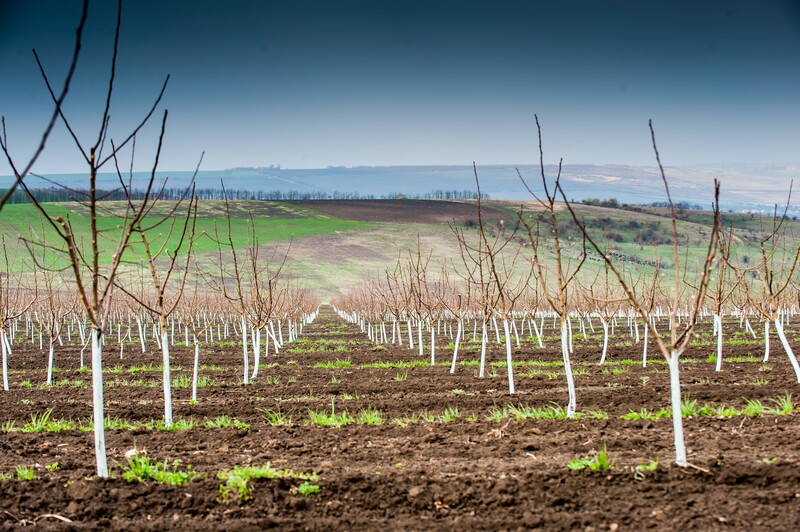 With funding provided by the Austrian Ministry of Environment via the Austrian Development Agency (ADA), and supported by UNDP Moldova, the project is being implemented by the Ministry of Environment's Climate Change Office. Working in three key sectors: agriculture, energy, and water resources, pilot projects are being implemented in six districts vulnerable to climate, in order to promote adaptation measures and catalyze their replication in other regions of the country. 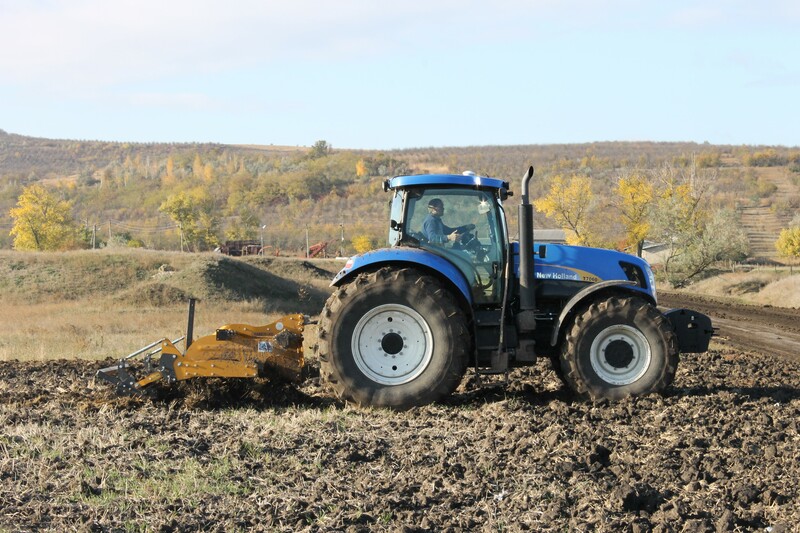 Through the project's dedicated grant scheme to showcase innovative adaptation measures at the local level, three agricultural grants have been used to improve agricultural conservation practices, while helping to restore soil fertility. 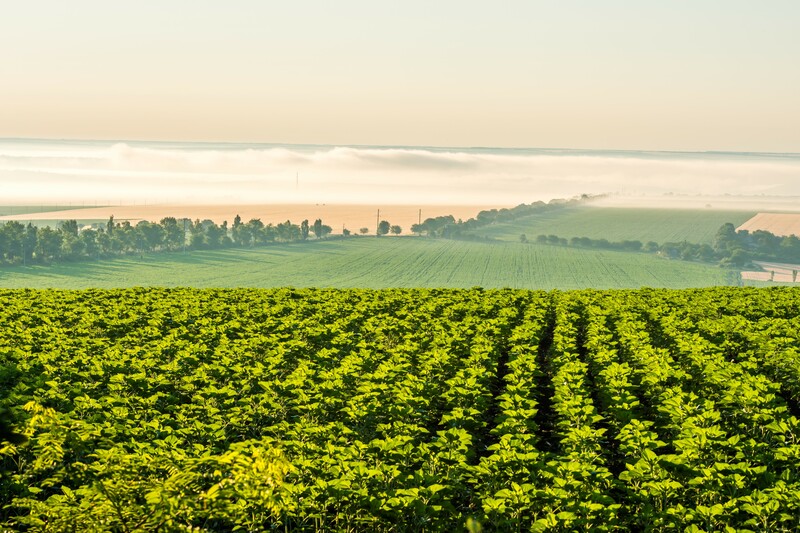 By promoting new agricultural technologies, like automated GPS navigation to increase the efficiency of pesticide and fertilizer application, or by using improved soil conservation methods and precision machinery, the overall objective is to develop farmers' climate-resilience. 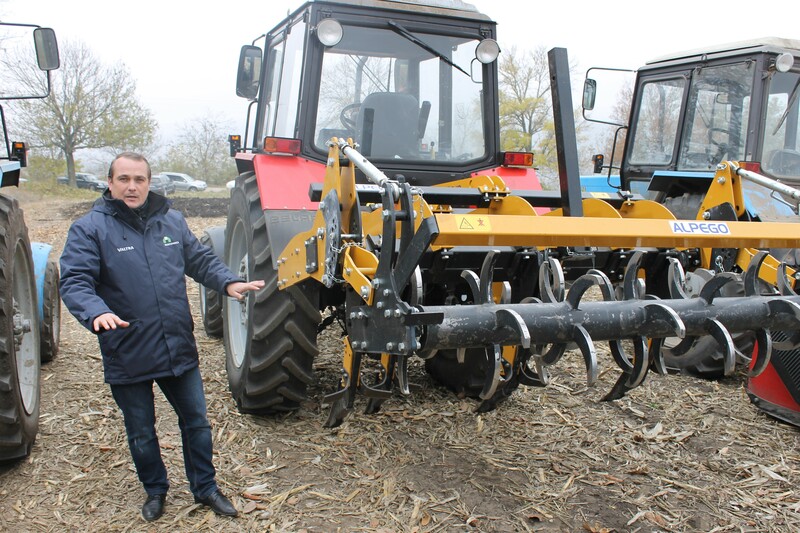 In the North of the country, in the Fălești district, one of the grants provided funding to the group, Abilitate Agro LTD, to purchase a ripper and a precision no-till seeder. 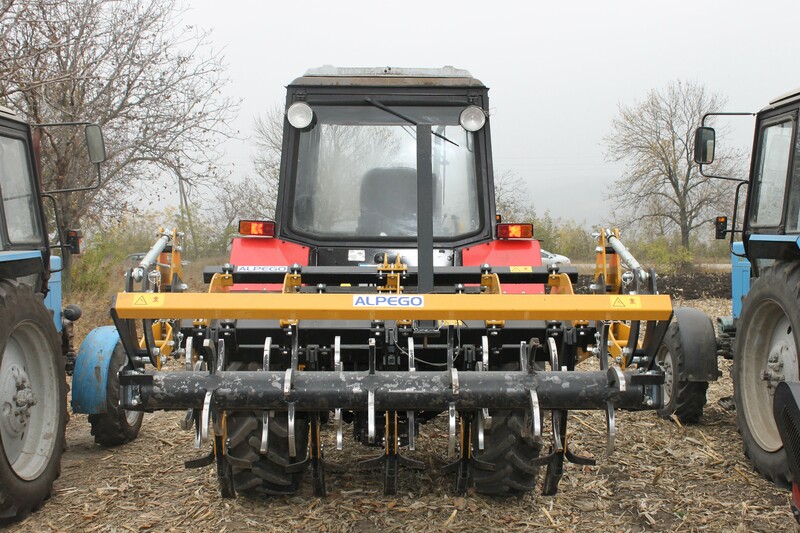 The ripper uses strong tines to loosen hard layers of soil - allowing the roots to grow deeper to access subsoil moisture and the precision no-till seeder deposits seeds in the ground more effectively - significantly reducing labor and related fuel costs. 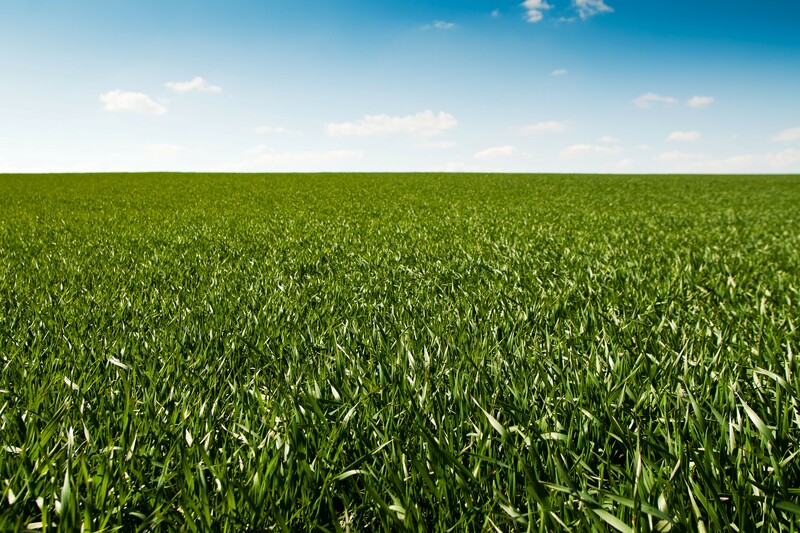 Covering 870 ha, 1,400 people are working the land, growing wheat, corn, barley, sunflower, and sugar beets. 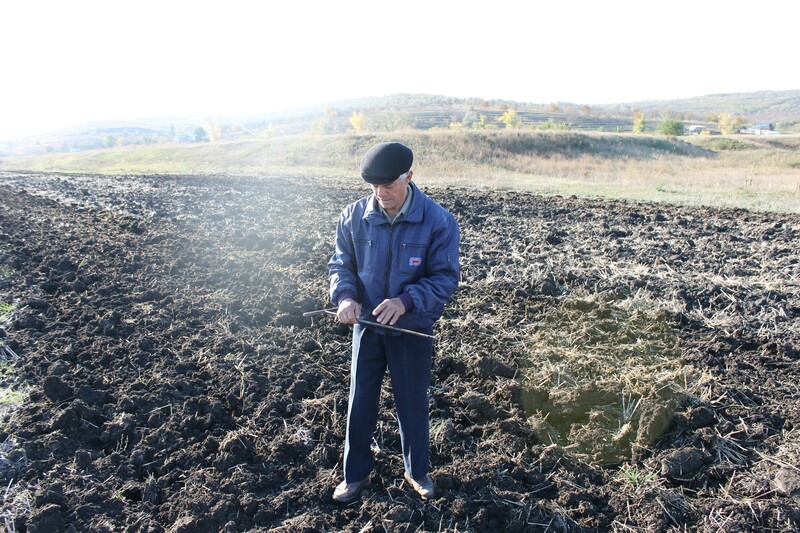 This grant allows them to enhance their climate-resilient, innovative tillage technologies - in turn benefiting the whole Călugăr village (population 2,178). 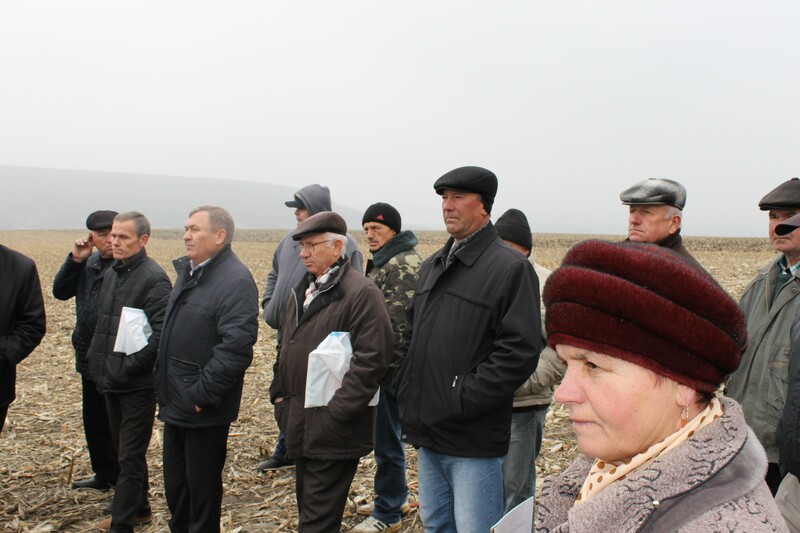 For Vasile Baciu, a farmer from Sadaclia village - located in the southern part of the Republic of Moldova - "great was our joy when we received notice that our grant was accepted". With the grant he was able to purchase advanced farming equipment and receive training in climate-resilient farming practices on his 347ha farm, comprised of subplots leased by over 200 villagers growing rapeseed, mustard, barley, wheat, corn, and sunflower. 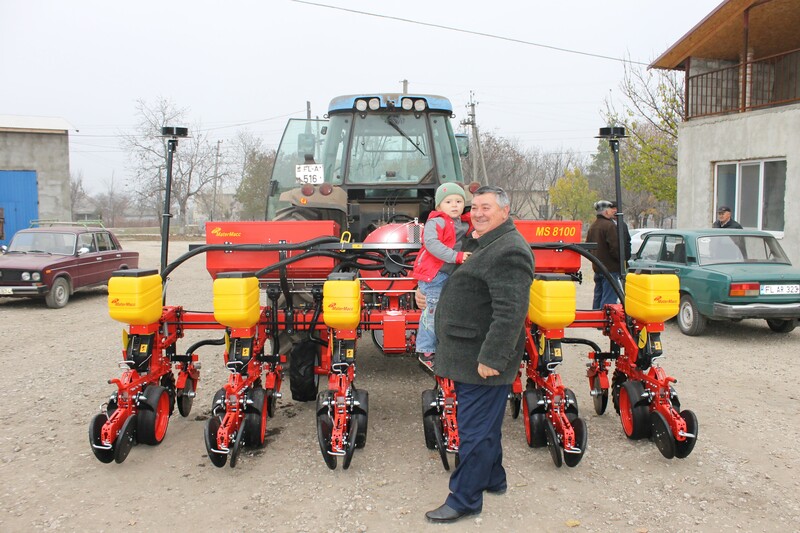 With over 15 years of farming experience, Mr. Baciu found that, "After buying the equipment, in a limited timeframe we have noticed a higher quality of work, the quantity of gas spent per hectare has decreased almost twice and the employees using the equipment have a higher working spirit. 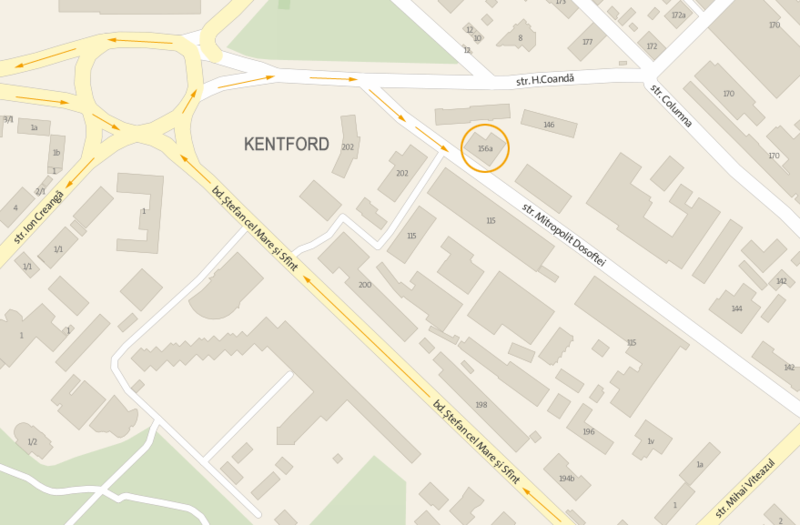 [This support] allows us to look ahead with certainty, and make our future plans." The adjacent community farming pilot project, LLC Sadac-Agro, was the 3rd recipient of the agriculture grants. 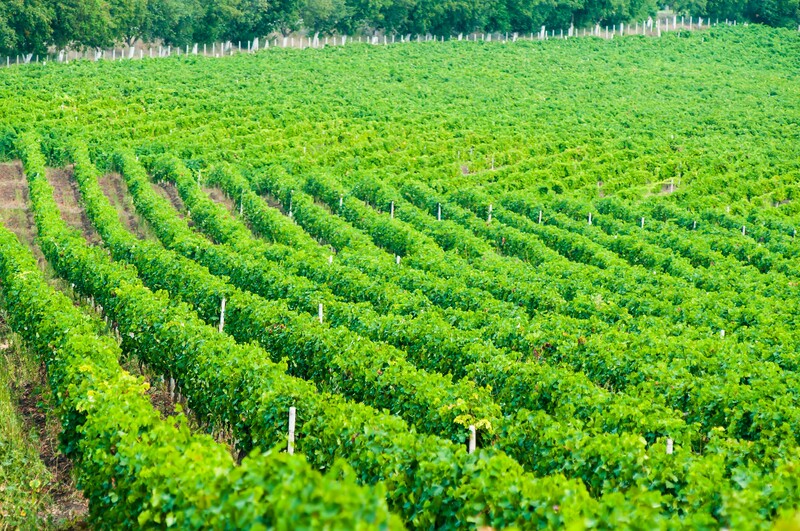 The farm covers 8,000ha and is comprised of the individual plots of 1,100 villagers. 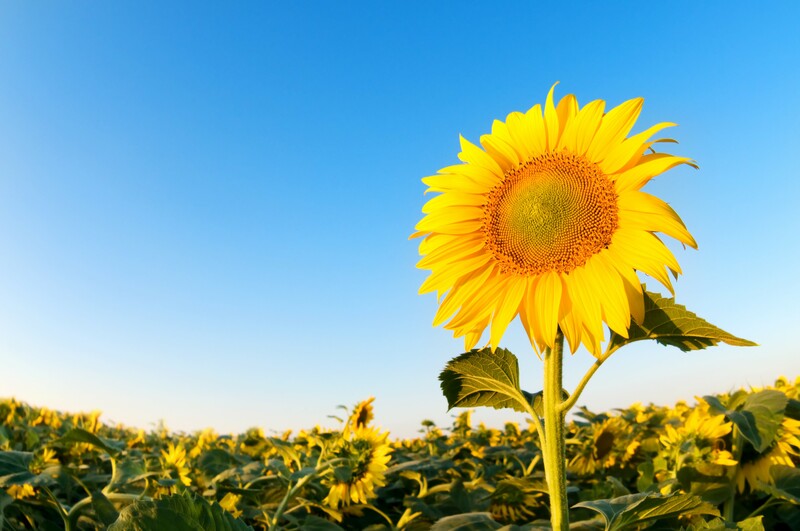 Growing rapeseed, mustard, barley, wheat, corn, and sunflower, the farm also includes a vineyard and an orchard. With their grant they were able to purchase a ripper and a GPS guidance system. 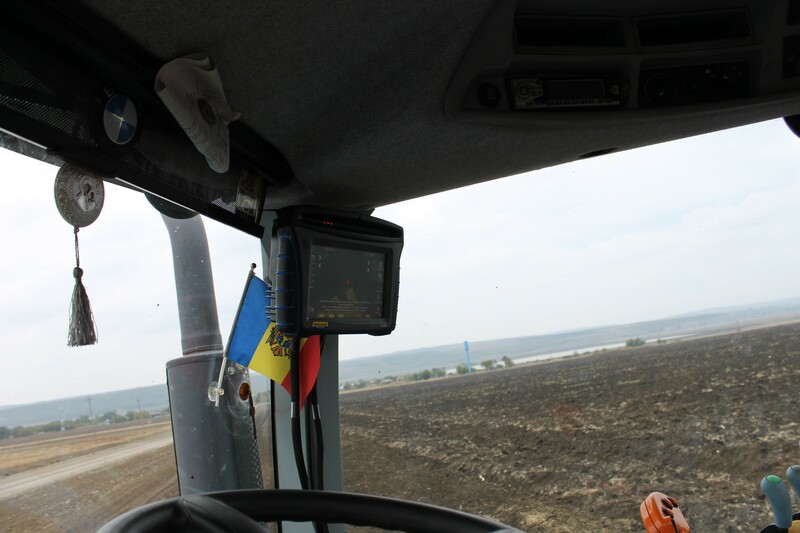 Mr. Nicolae Prohniţchi, director of Sadac-Agro LTD said: "We were able to use the GPS auto navigation kit... for a uniform particle distribution without overlap. We are pleased with the purchased... primarily on account of savings resulting from their use and increasing quality work. For all farmers facing climate change issues, I recommend them to purchase this equipment, because they already are a necessity for farms in the country." 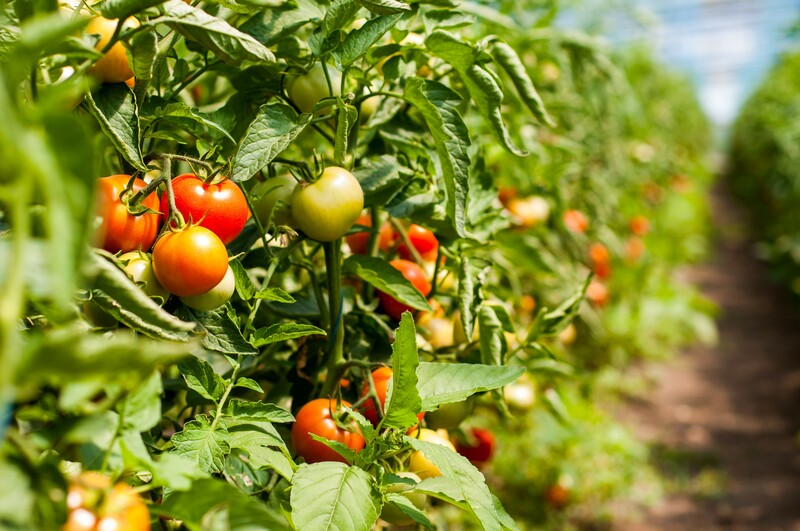 By promoting new agricultural technologies, like automated GPS navigation to increase the efficiency of pesticide and fertiliser application, or by using improved soil conservation methods and precision machinery, the overall objective is to develop farmers' climate-resilience. 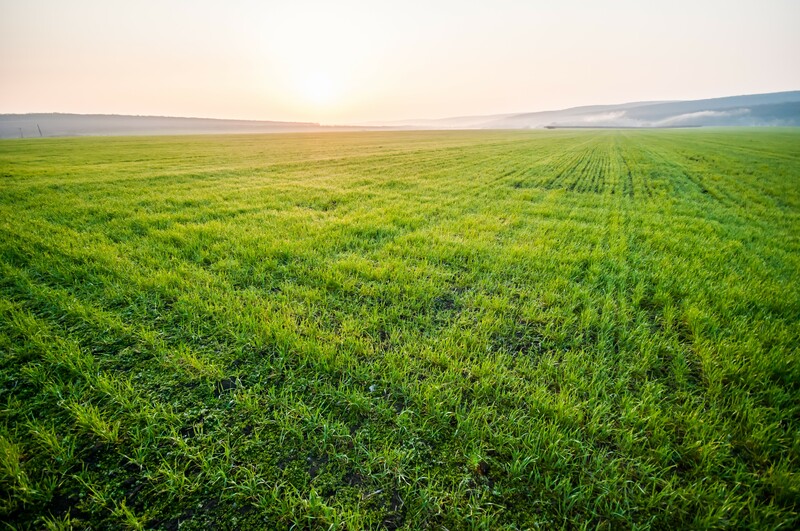 Conservation methods like continuous no-till or minimum-till, crop rotation, and cover crops are keys to building healthy soils. Changing cultivation technology has required building technical skills and raising conservation awareness. In order to implement the right technologies, the Austrian Development Agency and UNDP experts have trained farmers on adaptation practices. 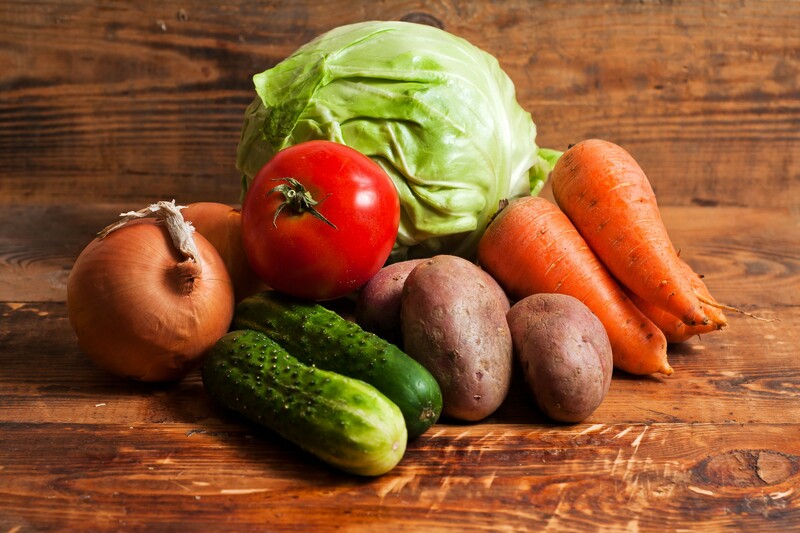 Following the successful implementation of pilot projects, local producers are motivated to make plans for the future, applying technologies that contribute to adaptation, simultaneously enhancing food security and improving the welfare of rural populations. 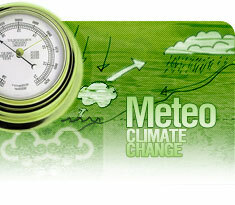 As part of the NAP Global Support Programme, assisting Least Developed Countries (LDCs) to advance National Adaptation Plans (NAPs), the project is aligned with the NAP-GSP's aims to strengthen medium and long-term climate change adaptation planning as well as budgeting, with an emphasis on gender-sensitive approaches.